We have accumulated more than 10 years of operational experience and managed more than 2,000 local big and small sized projects before forming Pure Input. The multidisciplinary operational integration, which we offer as part of our service, enables our clients to access high-quality data, short deadlines, accuracy, and fair budget. 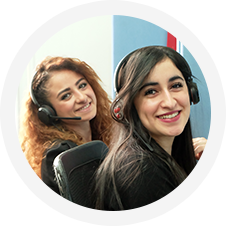 We are one of the very few English-proficient operations companies in Turkey. We employ fully trained and experienced interviewers and recruiters. We operate in own CATI studios. We offer full range of operations, starting from the fieldwork, ending with any advanced analysis (including tabulation and modeling).